Pedra da Gavea Mountain in Rio de Janeiro, Brazil, has become the ultimate selfie spot for the adrenaline junkies smashing the social media websites with stunning photos that would chill you to the bone. The trend starts with a person taking an outstanding selfie standing at the edge of the cliff and posts it later on social media. Consequently, the photos are shared countless times attracting more and more adrenaline junkies to the popular tourist destination. What is so special about the mountain? The cliff allows tourists to click mind-boggling photos and selfies, and some of them go to the extent of performing risky stunts. 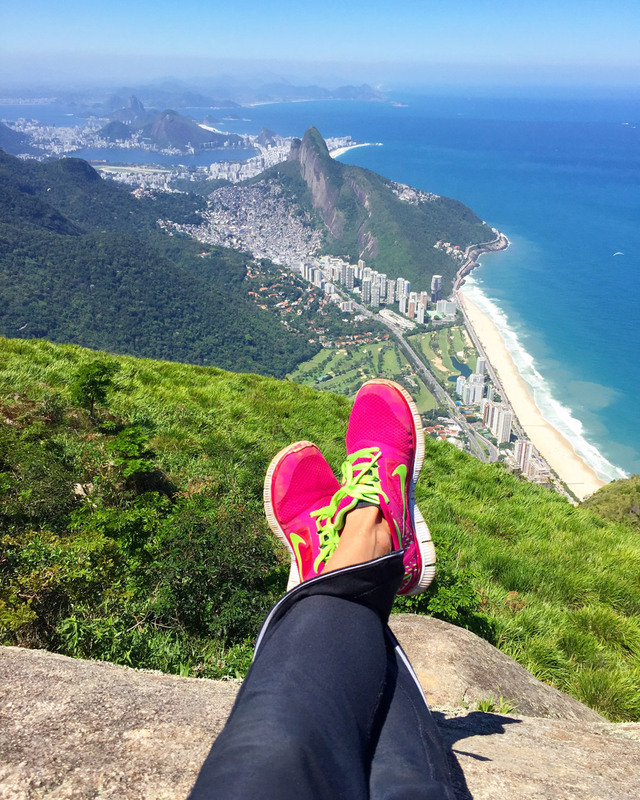 Instagram, Pinterest and Facebook showcase different individuals posing on the cliff of Pedra da Gavea. According to Australian Traveler, this is one of the highest coastal mountains in the world where tourists now flock to click photos standing and sitting in precarious positions. The mountain is located in the vicinity of the tropical rain forest of Parque Nacional da Tijuca. The journey to the top is for people who have some physical training as it includes three hours of hike and a little rock climbing. On reaching the cliff, you would witness the majestic panoramic view of the national park, the city below and the blue ocean. Whatever the risk it encompasses, the photos, the view and the journey are worth it.